A BETHANY HOME survivor is bringing a case to the European Court of Human Rights over his treatment while in the mother and baby home. Derek Leinster told TheJournal.ie that it had taken him 23 years to get to this point, saying that two barristers working on his behalf had sent the submission this week. “It’s the biggest thing that we have had done,” he said. 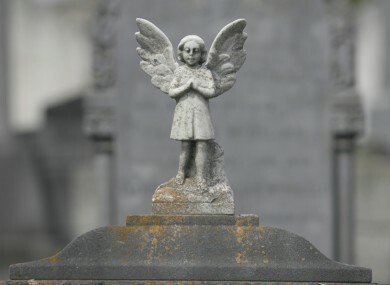 “Even bigger than putting up the memorial.” A memorial to dead children from the home, who were buried in unmarked graves, was unveiled in Mount Jerome in 2014. Leinster was born in the Bethany Home in Rathgar and said that he was neglected as a child. He is one of the founders of the Bethany Survivors Group and has been campaigning for the survivors to be compensated by the State over their treatment in the home. “I want the few who are left to know they have justice,” he said, pointing out that the survivors are ageing. Leinster is bringing the case to the court of human rights as he contends Bethany Home survivors suffered additional discrimination on religious grounds. Bethany Home was a Protestant-run home. He said that the submission is being brought in order to “make the Irish government treat us as ordinary citizens of Ireland”. He said it also deals with how the Bethany Home survivors were treated as children. Bethany Home was privately run, and Leinster has received documents through the Freedom of Information Act, which he said were used when compiling the submission. “It is a huge step forward getting the submission done,” he said. In order to send an application to the European Court of Human Rights, a number of rules must be adhered to. Applicants can choose whether they want their identity to be disclosed to the public. Separately, the government’s commission of investigation into mother and baby homes – including Bethany Home – was granted an extension to the time frame for the publication of two of its three reports. It said last week that more than 400 potential witnesses have come forward after it held a public call-out. Minister for Children and Youth Affairs, Katherine Zappone, said that the extension will not delay the government’s response to the commission’s findings. The commission was announced in 2014 and is to investigate a number of mother and baby homes. A protest by members of the Coalition of Mother and Baby Homes took place earlier this month, with the participants saying they are unhappy that certain survivor groups are not included within the scope of the inquiry. Email “Bethany Home survivor takes first step in bringing case to human rights court”. Feedback on “Bethany Home survivor takes first step in bringing case to human rights court”.